These are the slides from my presentation at the April Atlanta R User meetup. There are not many words on the slides, so you won’t be able to follow the presentation by flipping through the slides. I nonetheless wanted to share them because the presentation uses the ioslides Rmarkdown template to directly embed Shiny applications into the presentation. There are Shiny apps on slides 5 and 6. Here is the code used to create the presentation. The Shiny application on sheet 5 uses the xgboost R package to predict payments on individual insurance claims. 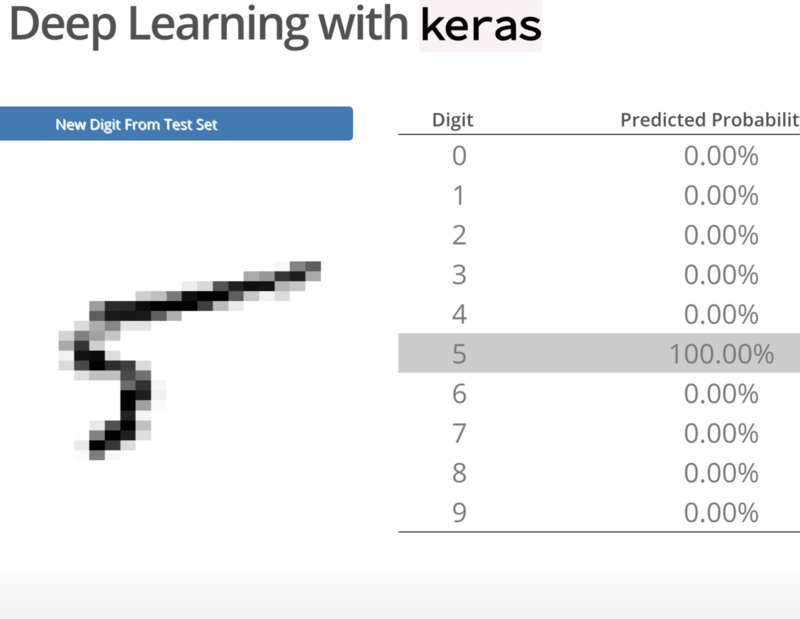 The 2nd Shiny application, on sheet 6, uses the keras R package to predict the digit from images of handwritten digits. This is a very simple deep learning application. Slides 2 and 3 are pictures of my newly born niece!